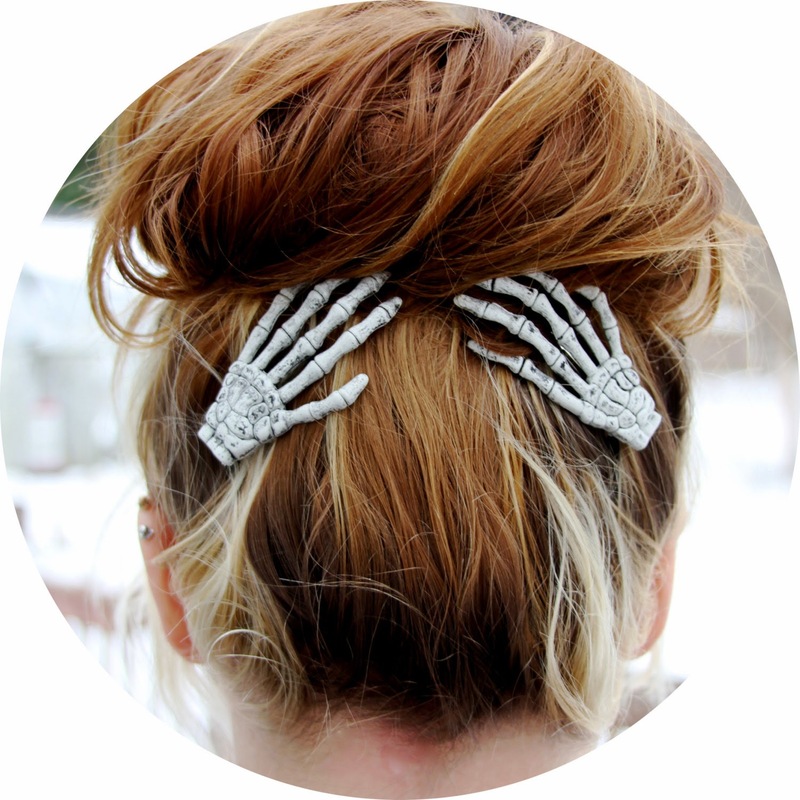 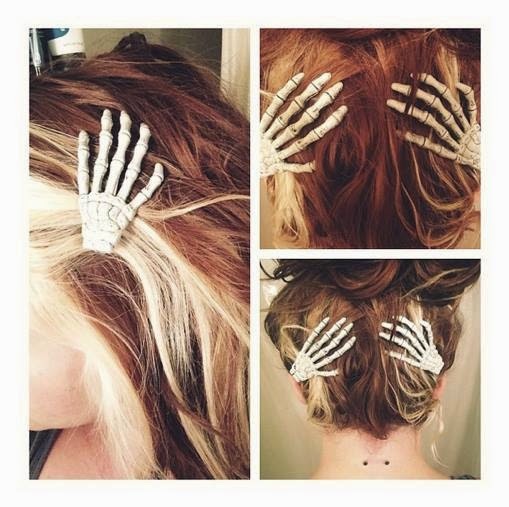 Skeleton Hand Hair Clips by Etsy seller alwaysanchors. 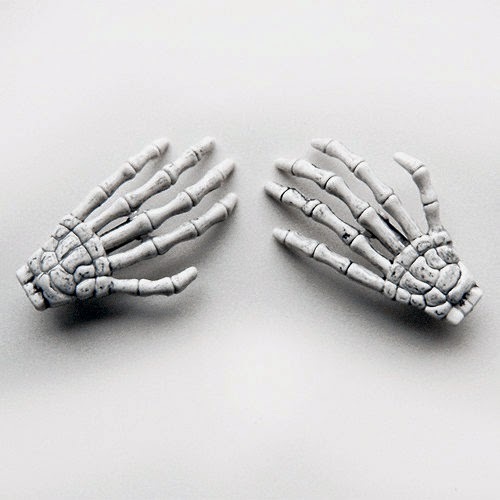 These skeleton hands are an off-white color with minor black/gray detailing. 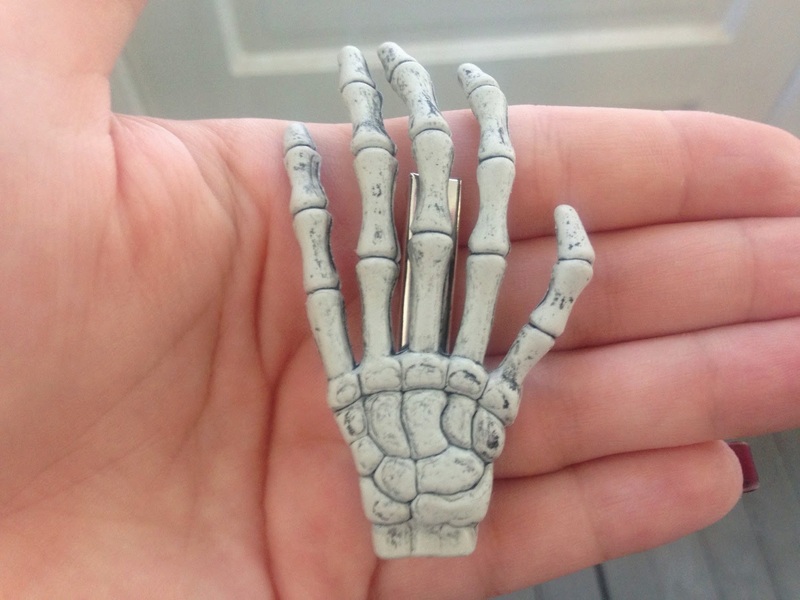 Each hand is a tiny bit different detailing-wise and each hand is a LEFT hand. 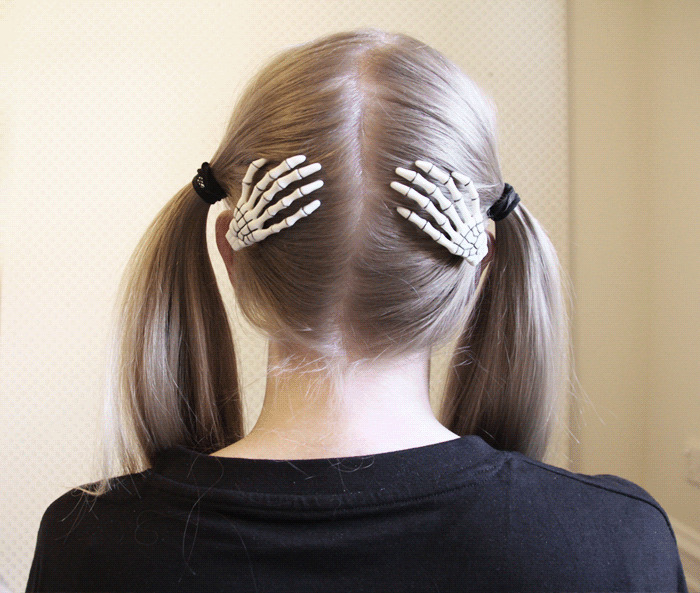 The skeleton hands are secured to either flat alligator hair clips or alligator clips with teeth.